For the most part, I don’t know what I’m doing. I haven’t been racing long enough. For example, I don’t know how I should feel before a good race, versus how I feel before a bad one. 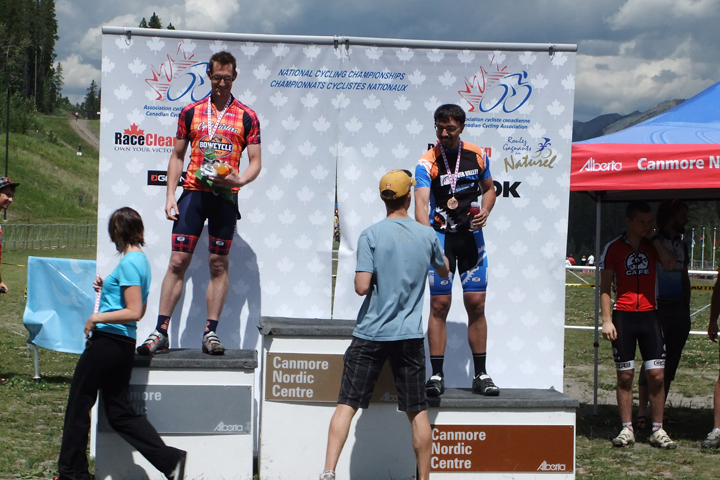 I’ve thought I felt great, and raced terribly, and visa versa. Sure, I’ve read a lot, and talked to a lot of people about this stuff, but for me it’s still just guess work. I really need my sleep. I am an 8-9 hour a night guy, day in and day out and I know this. If I get less than 8 hours sleep one night in the 2 days leading up to a race, I will do worse. Case in point, most of my races in 2009. Excited about the race, Ken and I would normally go out the night before, have dinner and stay out and have a few beers, only allowing for 5-6 hours of sleep. For me, this is not good. That leads me to my second observation, beers the night before do not help me. 1, or 2 is fine, though likely not beneficial. Any more than 2, and it has certainly proved detrimental. Not only does alc dehydrate, but for me, now a 35 year man who drinks almost never, I feel like crap in the morning after any more than 3 beers. So, I need to shut it down after 1 or 2 the night before if I care about how I am going to race the next day. Hydrate, hydrate, hydrate… And by this I don’t mean drink a couple glasses of water before the race. I mean stay on the water for a couple days leading up to a race. It can take up to 7 days for your body to fully hydrate, meaning, absorb into your deep tissues. Drinking a bunch of water quickly, and then peeing clear is really only a sign that your body has taken in more fluid than it can absorb at that time. Both alcohol and caffeine will dehydrate, so I need to keep them both to a minimum. Stretch. I am terrible for this. I don’t enjoy it. It hurts and most often I will come up with some reason not to do it. When I do, though, my legs feel soooo, sooo much better. They recover faster between rides, meaning I can train more often, but if nothing else, stretching before a hard effort like a race wakes my legs up, and gets the blood flowing. I’m also less likely to cramp, or injure myself – which are both things I am on board with now that I’m getting older and hopefully wiser. Eat 2 hours before the race. Eat 3 hours before if you can. For me, oatmeal with a handful of trailmix seems to be a pretty good meal. Easy to digest. Good carbs, and the nuts provide fat, which is great long burn energy that I’ve found is optimal for me, versus just straight carbs. Further to this, make yourself eat, and drink during the race. It’s hard, I know… You’re breathing hard and chewing food, or drinking just interrupts your already laboured breathing even more. But, this is key to making sure you have the energy to ride strong the whole race, and not just the first lap or two. If you can only do one, choose to drink. Find an energy drink you can tolerate that will give you energy, electrolytes and hydrate you. I’m still fiddling with this. Last race, my drink of choice nearly made me puke. Not because it tasted bad, but because it just wasn’t sitting that well. Top of the climbs on lap three, it was a close call. This might just have been because I was drinking too much at once, and not just sipping at it over the race. I am still trying to figure out how to do this. Know yourself. Are you a racer that can blast out of the gates, be first to the singletrack, gap the field and hold on, or are you more like me, and need to start out moderately? 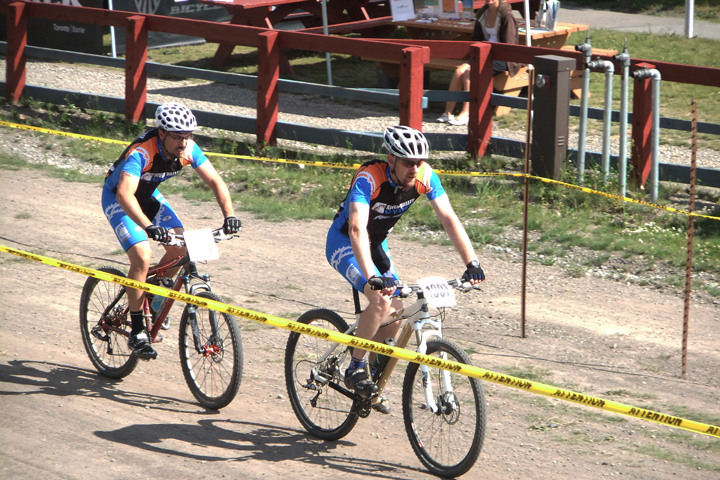 Two weeks ago, at the Edmonton Canada Cup, I chased Ken and Gord for 2/3 of the first lap and blew up after lap 1. They were too fast, and I cracked, leaving me to struggle just to finish in 20th. Last weekend at Nationals, I went out more slowly, paced myself and tried to build up speed as I went – to push hard, but stay steady. The result was 3 moderately fast laps, and luckily, a spot on the podium. Lastly, pre-ride the course. I never used to do this. I figured I was always just following people anyway so I didn’t need to know where I was going… But pre-riding the course is about more than knowing where you’re going. It’s about knowing what’s coming, and having a game plan. You know where you can push hard, because you know how soon you’ll hit a section where you can recover, or you know where to surge and catch someone’s wheel so you’re in position to pass when you get to the wide section coming up. In Canmore where the trails can be super technical, you’ll know better which line to take, or how fast you can go without crashing. These are just examples, but you get the idea. Knowing the course is a huge advantage. These are some of the things I’ve found to really make a big difference for me. In the end, though, you can do all of this stuff and more, but still fall short in a race, because circumstance plays such a huge part. In my race at Nationals, I was ready physically to race well, and I did, but several circumstances played into my 3rd place finish. Some of these circumstances were that we raced in the morning before it got hot. I race better in cooler temps. The course was set up to my strengths. It had long, grueling climbs, and tight, twisty, singletrack descents. Had the course been different, with less climbing, the result would have been different. 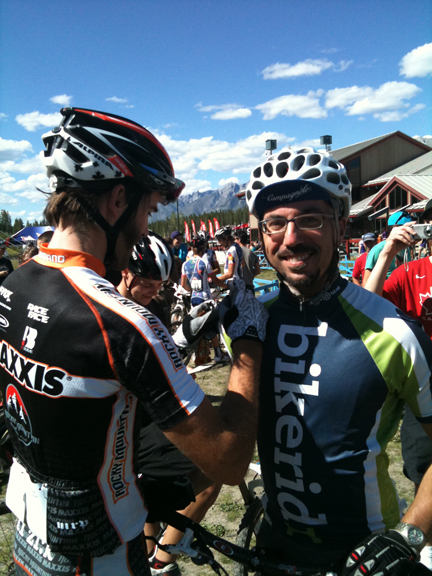 I also had a teammate to ride with when I caught Gord on lap 2. Having him push me just that little bit to stay with him, helped a lot. I wasn’t willing to push myself to the point that I’d blow up again, but he definitely helped me out there, and encouraged me to keep up. Thanks Gord! I owe ya. So many things come into play in a race, from how hard you’ve trained, to the course design, what you ate, the weather, the field of racers that shows up, to the state of your bike’s mechanical integrity. I mean, blow a tire, snap a chain, and there you go, end game. I guess, that’s why as little, or as much as I know now about racing, as much as I can control about my diet, sleep, training etc…, you never really know what’s going to happen on race day. You can race smart, but in the end, no one knows how it’s going to play out. I guess it wouldn’t be much fun if we did know, though would it…? Nice work my Bikeridr broheim! Nice work buddy, way to answer Ken’s podium finish the week before! Doesn’t look like I’ll ever be able to ride and keep up with you bike-monsters! Great job Sheldon! Congratulations on your top three finish. Sheldon you knew your game on this day that was a tough course and it suited your strengths well and you put in a huge performance that you should be proud of. You and Ken will be in Sport this year or forsure next year and me and alex will too!! Good job Sheldon. You guys work hard at the sport amd the benefit is beginning to pay off. But even if a guy/gal does not make the podium, the self satisfaction and life long health benefits from training and competing are immeasurable.